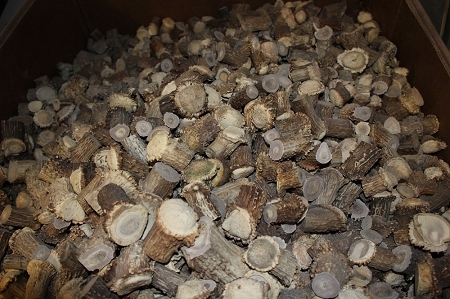 15 lbs (approximately 120-150 pieces) Assorted deer antler shed burrs. Approximately 1 - 2.5" diameter 1.5 - 2.5" long. Perfect for cabinet knobs and take down bows, etc. All from #1 or #2 shed deer antlers.